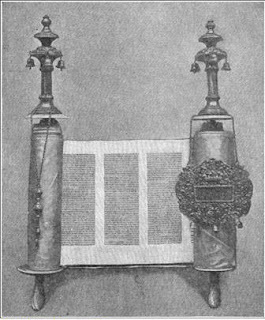 Encyclopedia Judaica: Scroll of the Law, with Crown, Breastplate, and Pointer. Scroll of the Law, with Crown, Breastplate, and Pointer. Scroll of the Law from Tafilet, Morocco.